For parents, keeping your children safe is always the number one priority in your life. However, that comes with a lengthy baby-proofing process as you wait for your future child to be delivered. Baby-proofing your home can take time and requires vigilance, especially if you have lived in your home for a prolonged period of time and have a lot of belongings. As future parents, you will have to get rid of some of your stuff for the safety of your future child, but you might not want to sell or trash all of it. For the stuff that you want to keep, it’s important to find a storage solution that works best for you. In today’s post, Affordable Family Storage will look at some storage solutions for future parents. There aren’t a whole lot of things in life more exciting than expecting a child. However, baby-proofing is not a very fun process, as you must decide what needs to go and find what needs to go. It’s impossible to totally baby-proof, but things like wobbly bookshelves, old televisions, and even old furniture are things that might need to go. It’s important to have stable furniture and nothing that could potentially fall, so this often means that you must buy new stuff. A storage solution is then needed to keep all the stuff that you no longer can keep at your home. This can even include stuff like sports memorabilia or large photos that could potentially fall. What Are My Storage Solutions? Depending on what you are storing, this question has many answers. If you have a bunch of old furniture and televisions that you need to store, you won’t be able to do that in the storage space at your home. This means that you will need a self-storage solution. However, there are things that you can store at home if you have the room. This is especially true if you have an attic. Things like lamps, old tools, old silverware, or even old instruments can be kept in an attic. There is also the possibility that the items you are babyproofing are small, like a coin collection for instance, and need to be stored to avoid your child choking. If you are looking to store those things, you can buy baby-proof containers for those things and you might not even have to store them in an attic. Do I Need A Storage Unit? This all depends on how much stuff you have and how big the stuff is. 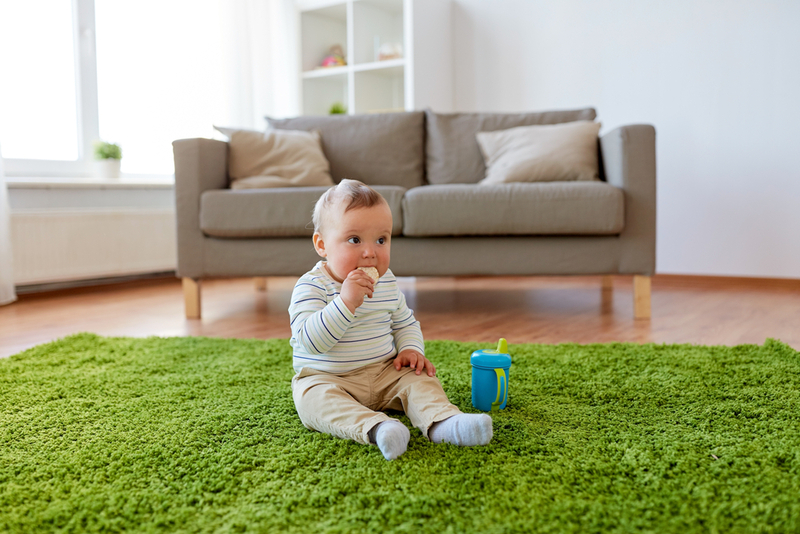 Size isn’t always the biggest factor when determining danger for a baby, so you might have a lot of small stuff that can be stored in your home. If you have a bunch of larger things that need to be stored, a more intensive storage solution will be needed. If you need a storage solution that can’t be fulfilled at home, Affordable Family Storage is the answer. We offer a variety of storage units, with different sizes and amenities, that will be perfect for you. Give us a call today at (712) 794-4648 or get in touch with us online for more information.